Having lived in South Korea for three years now, I have learned to do one thing: to not convert. Coming from a country where an apple costs an average of ₱15 ($.30) and moving to a place where it costs 20 times more can be overwhelming. I have understood that different countries have different standards of living, therefore costs are different too. Living and raising a family in the land of Samsung and LG, Hyundai and Kia can be quite expensive, I must say. My family lives in Yongin, an hour away from the capital, Seoul. We live near the university where my husband works as a Research Professor. We live in an old and small apartment with one bedroom, living room, and kitchen. In Korea, they call it “Two Room” while a studio type room is called “One Room”. Our monthly bill is approximately ₩500,000 ($442.16) per month, excluding bills. Accommodations in Seoul can cost about a hundred to two hundred dollars more, especially in prime locations. This system is called “wolse” where tenants are required to give a certain amount for deposit and pay monthly rent. 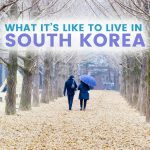 There’s another system that is unique to South Korea; it’s called “jeonse” where tenants give the landlord a large sum of “key money” which is usually 50 percent of the property’s value and depends on the economy and location. The tenants are then allowed to stay in the property without having to pay monthly rent except for utilities. This is favorable to those who have a large sum to spare. For single people, it is recommended to share accommodation with a friend or two to be able to save on expenses. 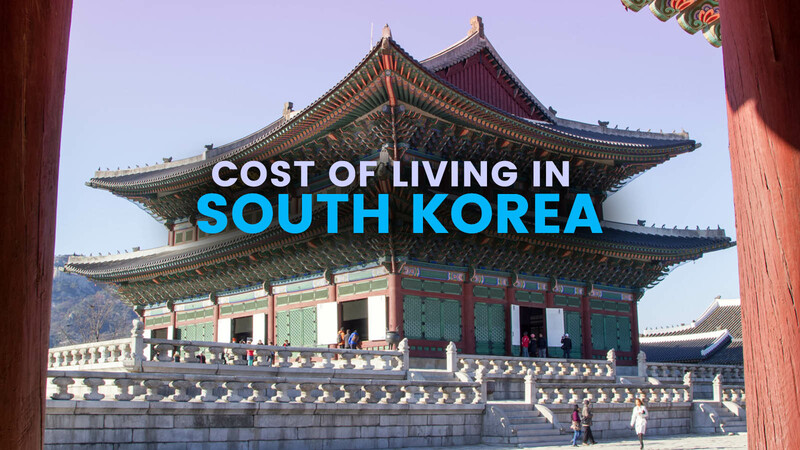 The cost of accommodation in South Korea depends on how many bedrooms and location (in or outside the city center). Generally, it ranges from ₩400,000 ($353.73) to ₩1.5 million ($1326.48). Transportation is very efficient in South Korea. Though it may seem costly, when you think of it, it’s reasonably priced. From Yongin to Seoul, I take an hour bus ride which costs ₩2,500 (approximately a hundred pesos) and take a train to the church where I serve which costs ₩1,250 or almost 60 pesos. That costs me around ₱300 ($6) from Yongin to Seoul and back. Subway, taxi, bus, and train fares can be paid using what they call the ‘T-Money card’. It’s a rechargeable, touch-and-go card that can be purchased anywhere and reloaded in subways stations and convenience stores. Using this card gives passengers fare discounts and total ease. Intercity buses cost a little bit more than intracity buses. Red buses cost ₩2,300 ($2.03), Yellow buses cost ₩1,100 ($.97), Green buses cost ₩900 ($.80) and Blue buses cost ₩1,200 ($1.06) using the T-money card. When paying by cash, fares cost a hundred won more. Subway, on the other hand, costs ₩1,250 ($1.11) using the card and ₩1,350 ($1.19) with cash. Taxis are the most convenient way of going from one place to another but they cost a little bit more. 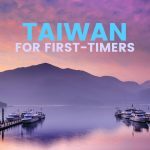 The flag down rate for regular taxis is ₩3,000 ($2.65) for the first 2 kilometers, ₩100 ($.09) for every succeeding 142 meters, and ₩100 ($.09) for the waiting time per 35 seconds. Deluxe and International Taxis cost more. 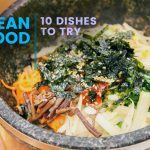 South Korea is known for its large servings and unlimited side dishes. An average meal in an inexpensive restaurant costs ₩7,000 ($6.19) and ranges from ₩5,500 ($4.86) to ₩8,000 ($7.07). 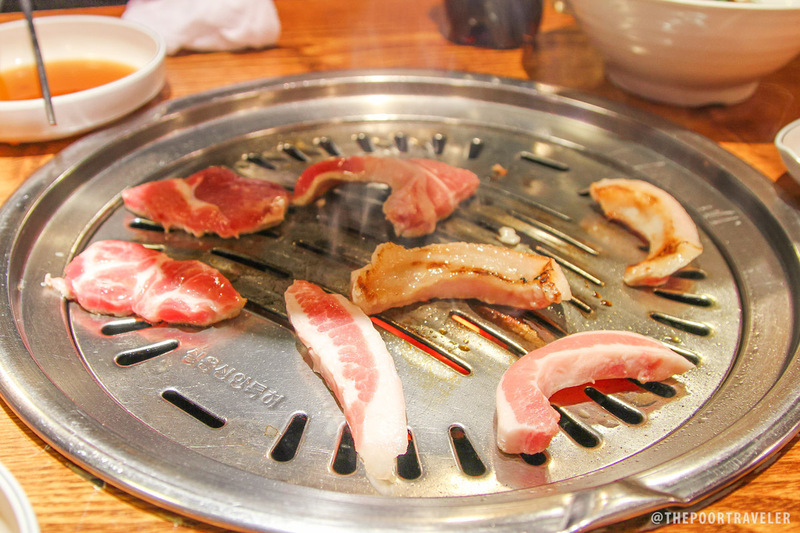 Korean BBQ (Samgyeopsal) Buffet is priced at ₩12,000 ($10.61) during lunchtime and ₩15,000 ($13.26) at dinner. A McDonald’s meal is around ₩6,000 ($5.31) (but is sure is bigger and more filling than our regular McDo meal in the Philippines). Eating out regularly can be pocket draining, so we choose to cook food at home. Besides, our Filipino palate craves for sweet and salty food more than spicy ones. It’s only in South Korea where I saw 12 pieces of apples worth ₩118,000 ($104.35). That’s almost ₱5,300. It was during Chinese New Year. A big watermelon in summer costs almost ₩20,000 ($17.69) or ₱800. Yes, fruits cost a fortune in South Korea. But they do go on sale during off-peak seasons. We seldom buy beef because Korean beef is extremely pricey. A kilo of beef can reach a thousand pesos. As for other grocery items like toiletries and snacks, they are usually sold in bulks or big packaging therefore they are priced accordingly. They may seem expensive at first, but in the long run they can save you money. Ironically, basic groceries are more expensive in Seoul by 33% compared to the most expensive city in the world, Singapore. 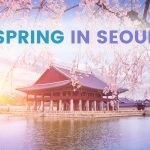 The changing of the seasons in South Korea can have negative effects on our health, especially on our toddler. We often catch flu and other diseases. Fortunately, South Korea has a systematic healthcare system, which allows its citizens, and even its foreign residents avail of cheap medical expenses. 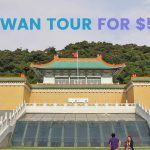 Its National Health Insurance Service (NHIS), which we pay monthly for ₩95,000 ($84.01) or almost ₱4,200, gives us a privilege to visit doctors and buy medicines at a very low cost. Without this insurance service, medical expenses can go really high. 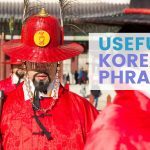 If there’s one thing that we are grateful for about living in South Korea, it’s this service. This made my pregnancy and giving birth to my first daughter easier in Korea. Seoul, South Korea is one of the world’s most expensive cities to live in 2016, according to CNN Travel. It was the 8th most expensive city, along with Copenhagen of Denmark and Los Angeles, USA. And I couldn’t agree more. But amazingly, our family has been surviving in this amazing nation. Not only are we surviving, we are not lacking anything. I guess with hard work and faith in God’s provision, even if you live in the most expensive city in the world, you will survive; you will thrive. Note: Based on February 25, 2017 exchange rates.